In humans, published charts may be helpful in determining the ideal weight for a specific body size. Since our pets vary dramatically in body size and shape, charts are not as useful. Instead, we visually grade pets using a Body Condition Score (BCS). What is a body condition score (BCS)? The BCS is a somewhat subjective rating used to standardize the level of an animal’s weight. Pets are scored from 1 to 9 out of 9, with 5/9 being an ideal body weight. For example, a very thin cat (1/9) would have visible ribs, spine and hip bones. 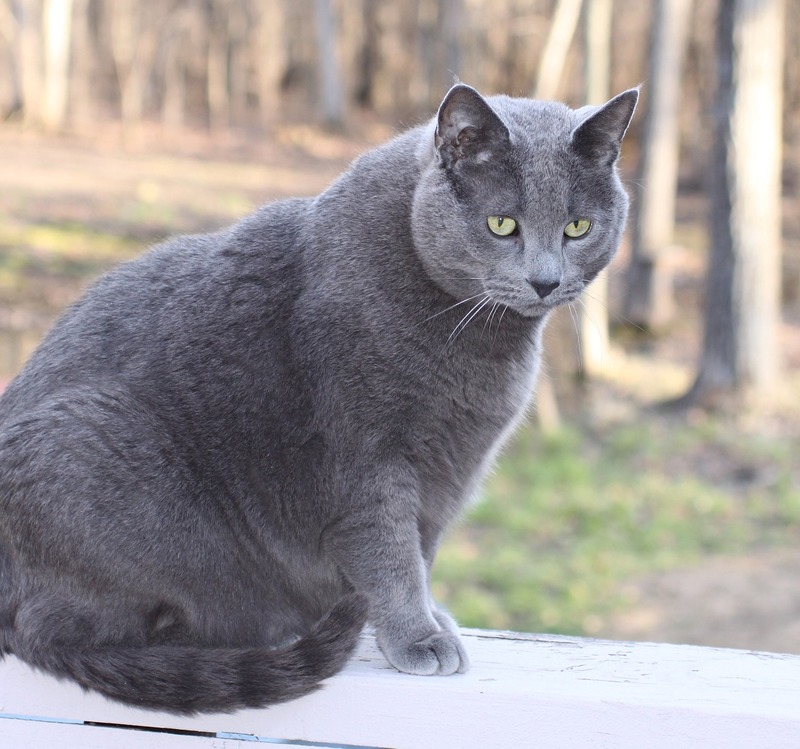 A very obese cat (9/9) would have a layer of fat over his/her ribs, fat deposits in front of the hips and near the neck and a distended abdomen. A cat at an ideal body weight (5/9) would have ribs that are easily felt without pushing through a layer of fat, an abdomen that is tucked up when viewed from the side and a visible last rib. Pets become overweight when they consume more calories than they use. These excess calories are stored in the body as fat. The number of fat cells a cat has is determined when he/she is a kitten. Each individual cell can become larger or smaller, depending upon the amount of fat that is stored within the cell. Once fat cells are formed, they are permanent. For this reason, cats that become overweight as kittens have more trouble maintaining or losing weight and are more likely to be obese in adulthood. Thus, it is very important to prevent obesity at an early age. Can my cat be predisposed to obesity? There are a variety of non-medical factors that have been shown to predispose animals to obesity. 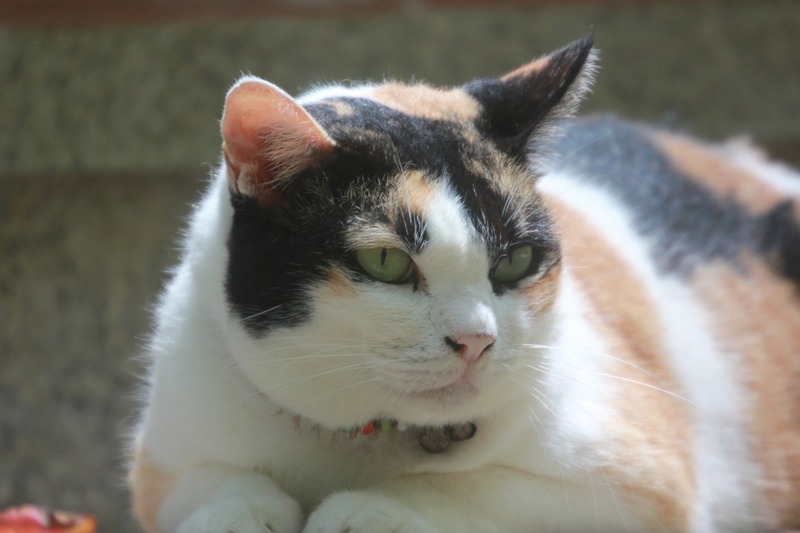 These include early-onset obesity, old age, overweight owners, a sedentary lifestyle (especially common for indoor cats), competition for food and a free-fed diet (as opposed to meal-fed). Females are typically more prone to obesity than males and genetics can also be a factor. 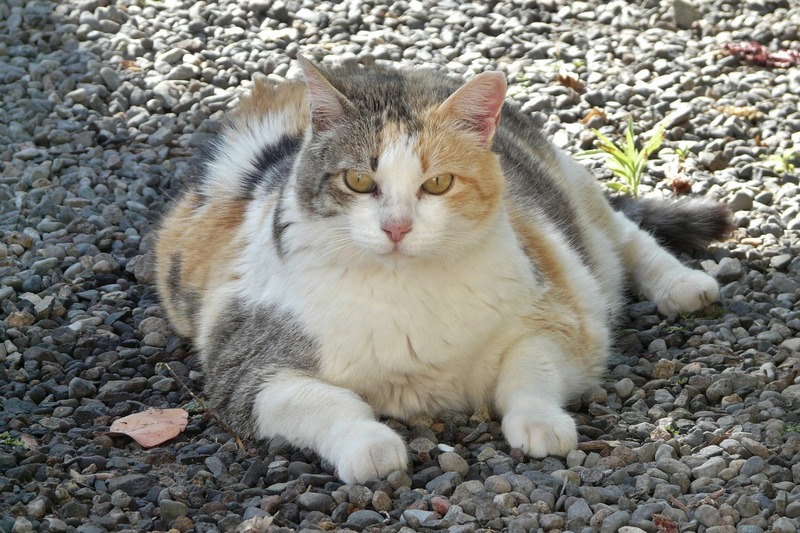 What are the health risks of an overweight pet? 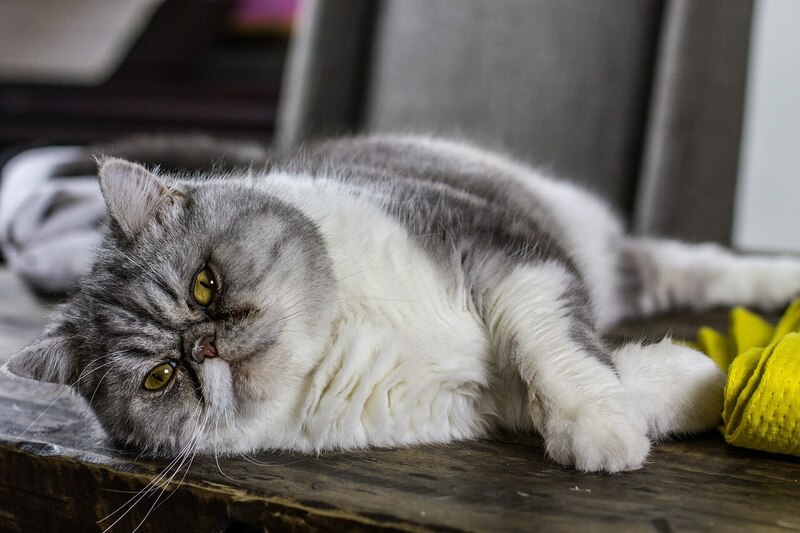 Overweight pets are at risk for a variety of health problems, including skin infections, high blood pressure, heart disease, immune suppression, diabetes mellitus, orthopedic and arthritic disorders and some forms of cancer. Overweight cats are often prone to hepatic lipidosis (fatty liver disease) and lower urinary tract problems as well. Increased surgical and anesthetic risk may also occur. What are the benefits of weight reduction? Weight loss will help improve the quality of your pet’s life for multiple reasons. It can decrease the stress on joints (especially important for pets with arthritis), help facilitate examination and surgical procedures, improve cardiovascular function, enhance athleticism and reduce or eliminate the need for certain medications required to manage medical disorders. In order for a pet to lose weight, any underlying medical conditions must be treated or ruled out. If there are no underlying problems, then the key to losing weight goes back to the basics, meaning your cat must utilize more calories than he/she consumes. When trying to lose weight, the goal is to lose fat while retaining lean muscle mass. You must take an active role in exercising your pet if you want him/her to lose weight. If your cat is not used to activity, you will need to gradually increase the amount of exercise he/she receives. Begin exercising for 10 minutes multiple times per week and increase the activity until you reach at least 30 minutes daily. Exercising your cat for at least 15 minutes twice daily will help him/her expend energy, increase his/her metabolic rate and retain lean body mass. Exercising cats can be a bit difficult, but supervised play with cat toys (laser pointers, feather teasers, etc.) can be quite effective. You may also use catnip to encourage and enhance playtime for your cat. Environmental enrichment is also a must for indoor-only cats. How should I change my feeding strategy? All meals and treats should be fed only in your cat’s bowl. This will help prevent overfeeding since it requires more effort from you and your family. You should also separate your cat from the kitchen or other areas where food is prepared or eaten to eliminate the temptation to give “people food.” Separating the cat from other household animals while feeding can reduce competitive eating and food sharing as well. Ideally, your cat should eat two or more small meals throughout the day to reduce hunger and begging. How can I get my cat to consume fewer calories? Cutting down on snacks and/or treats is the first step to reducing energy intake. When your cat begs, you should respond by petting, exercising or playing. If you do feed treats, be sure to use them sparingly. When treats are used, reduce your cat's regular meals to compensate for the extra calories. Only low-calorie treats or catnip should be given. When beginning a weight loss program, your cat's diet should be very consistent. The amount of food you should feed will vary greatly depending upon the caloric density of the specific food that you are feeding. The number of calories your cat utilizes is based on the daily energy requirement for your pet and the amount of exercise he/she receives. It will be very important that you use a measuring cup to accurately determine the portions you feed. Are all diet pet foods the same? While most diet foods are based on similar principals (less fat, fewer calories and more fiber), not all foods are created equal. There is a wide range of caloric restriction between diet cat foods. Your veterinarian will be able to recommend a specific diet that will best fit your pet’s dietary requirements. This choice may vary based on other concurrent medical issues affecting your cat. It is important to remember that while a low-calorie diet will help your pet maintain a healthy weight, it will not help him/her lose weight initially. Caloric intake, as discussed above, is a critical component to effective weight loss. Why does my cat always seem hungry on a restricted diet? This is a common issue, especially at the start of a weight-loss program. In order to lose weight, it is necessary to feed fewer calories than your cat needs to maintain his/her current weight. As a result, your cat will likely feel hungry. However, it is important to resist the temptation to feed more food or treats. You can try to reduce this problem by feeding your cat multiple small meals per day. This method will also help to increase your pet’s metabolic rate. Restricted-Calorie foods are designed to help cats lose weight without making them feel deprived of food. These diets are low in calories and fat but maintain high-quality proteins and normal fiber levels that will help your cat to feel "full." How long will it take my cat to reach his/her ideal body weight? 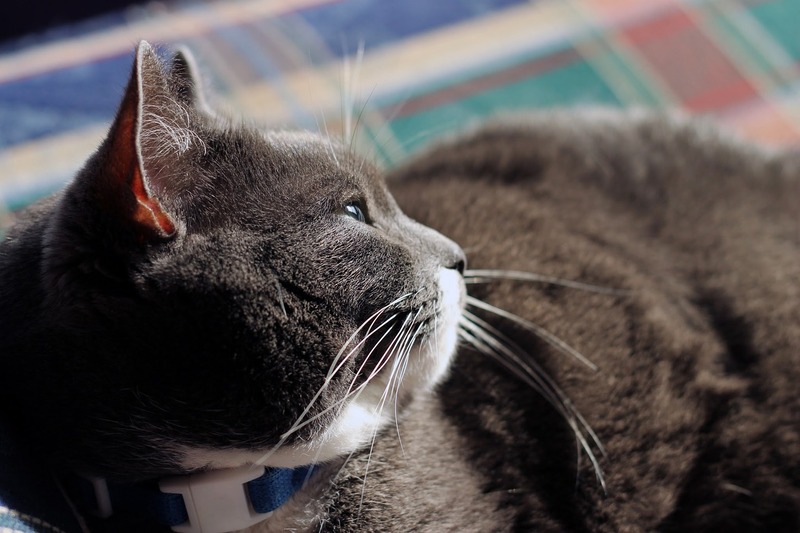 The exact time it will take your pet to lose weight will depend on how much weight your cat has to lose and how much exercise he/she receives. As a guideline, cats can safely lose about 1.5 percent of their body weight per week until they are at their desired weight. During the diet period, your cat’s weight should be checked every two to four weeks. You may come by the hospital to have your pet weighed during this time. How do I maintain my cat's ideal body weight once it is reached? Since obesity creates a predisposition for gaining weight, your cat will likely need to be kept on a diet food to maintain his/her ideal body weight. When appropriate, a change in the diet itself or the daily amount may be recommended. It is very important to feed your pet the correct amount of food to maintain his/her ideal body weight. Do you have questions or concerns about your cat's weight or diet? Contact us!